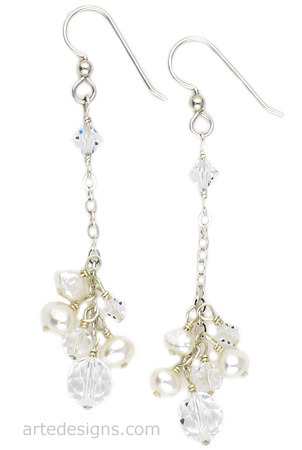 Scintillating Swarovski Austrian crystals and genuine pearls cluster together perfectly as they dangle from a sterling silver chain. Perfect for brides. Approximately 2.75 inches long. Sterling silver wires.